Not exactly code, but it’s programming related. 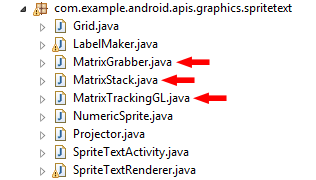 Chances are, you already found a bunch of pages describing the process of installing a APK file on Android Emulator using the command line. Surely, it is the safest and most recommend method, but why go through all the trouble if you want to run the application just once or twice? If you are a Eclipse user, there is a easier way, that will be explained here. First, choose a device you wish to start emulation from the AVD Manger. 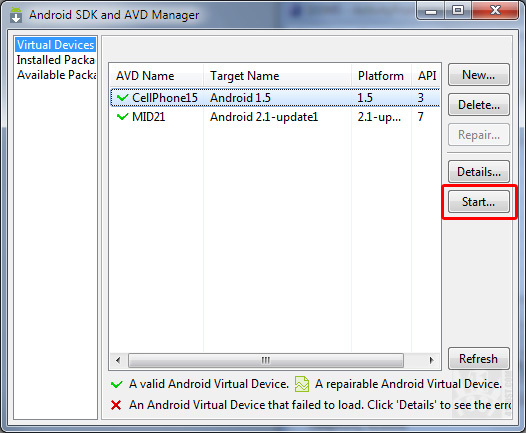 Select a Android Virtual Device to start the emulator.